Top 5 “Wow” Moments in Digimon Adventure Tri. Let’s talk about the art and the clothes. Sixteen years later and still under the studio of Toei Animation, the Digimon franchise continues to present its unique charm. Focusing more in the Tokyo environment rather than the Digital world, the art style offers us detailed slice of life views of Japan, including the high school, neighbourhoods, the big city, and more. I think it’s focus on the current Tokyo setting is rather fitting in the Digimon universe as people being on cellphones, computers, and laptops are much more common now than in the past. It almost sheds light on the fact that we’re probably already living in a “Digital world.” The characters have also received a dramatic change in their appearance as they are given more sharper and proportioned features compared to the original anime (i.e. no more giant heads and feet), creating a more mature look. 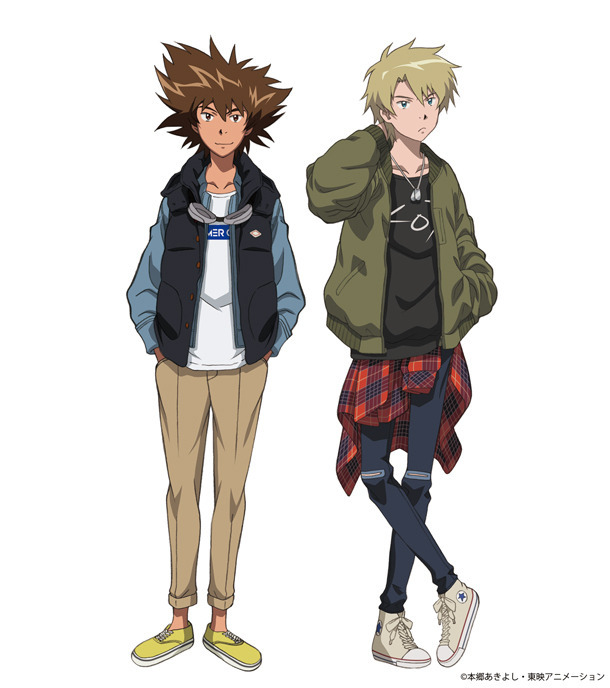 Turning to fashion, the Toei studio made sure that the DigiDestined kept up to date with the latest trends. It was refreshing to see them wear different clothes and not the same thing every day like TV show characters often seem to do. It was interesting to see how each character’s clothing style fit with their personality. Matt sported a hipster-like look to match his rocker attitude, Mimi wore flashy clothes to highlight her outgoing and bubbly personality, and Izzy created his own software program to see which style of clothing suited him best! Omnimon was there to save the day! 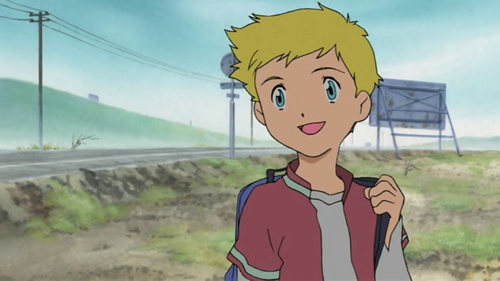 This character’s presence in the show was great because it solidified that the 2000 Digimon movie was canon. Plus, the fact we’re seeing series badass Omnimon only four episodes in means there are bound to be tons of new surprises and Digivolutions in store for us. Another instance of the original movie (or movies – our North American Digimon Movie was actually three Japanese shorts combined!) holding significance in Tri is Izzy’s sweet bachelor pad, I mean, office. Our wonder boy claims that he got it with the help of his “American friend,” which hints us at the possible existence of our dear friend, Willis! These four episodes left us with many new and old (OTP) pairings so let’s put these in a mini list! Our two babies. With no Davis currently in the picture (sorry, Davis and Kari shippers!) we can see a good chance of these two DigiDestined Angels getting together, right? Right? Apparently not. Judging from the amount of phone calls he makes and receives from his “girl friends,” T.K. seems like a real lady killer. While walking home from school, he does tease Kari about the possibility of her being jealous, but being the cool headed girl she is she simply brushes it off. Lovers or just best friends, they are still playful with one another and still super cute! 3. Mimi x the underdog IZZY??? Hear me out, I always thought Mimi and Joe were a thing, but this is even better! This is huge. When did our little computer savvy, too-smart-for-his-own-good Izzy become interested in girls?! Alas, the not-by-blood brothers. A lot of tension was seen between the two starting from the schedule conflict with Matt’s gig and Tai’s soccer game to Matt’s determination to fight and Tai’s internal struggle with causing destruction. The two match in competitiveness and in being hotheaded so it is to no surprise to see them arguing over something. Nevertheless, from flashbacks of holding hands to linking arms to keep each other’s feet on the ground, the dynamic duo have never looked closer. 2. Theme song – oh the nostalgia. The revised studio version of this track gives you goosebumps from the nostalgia and the cleanliness of it. Comparing the two, the original version had more of a “punch” with the opening guitar riff, whereas the newer version sounds lighter and more refreshing. Another reason why Tri.’s opening theme can hit you hard is because it immediately starts with the chorus (going right for the feels, eh?). Don’t even get me started on the new outro/breakdown at the end of the song. Just listen to it. Before tri was released, many fans wondered if the season two universe would be included in the story, or treated as if it never really happened. Luckily, we see our beloved season two DigiDestined Davis, Yoli, Cody, and Ken at the start of the first episode! However, much to our surprise we see them being defeated, leaving us to lean closer to our digital screens and furrowing our brows. In the later episodes, it is revealed that T.K. and Kari do have their season two Digivices which, although confirms season two’s existence, still leaves us with questions. Why isn’t anybody talking about the 02 kids? Did Alphamon defeat them and trap them in the Digital World? Why weren’t T.K. and Kari fighting alongside them? The next installment of Digimon Adventure Tri. comes out March 12, 2016. Keep your fingers crossed for an English dub and pray that they can bring back the original cast! I really hope Takari finally becomes canon. As of Confession its confirmed they both like each other. What episode of Confession was it comfirmed that they like each other? Im almost finished so I MIGHT edit this to say whatever happens next with Takari and see if TK DOES develop a crush on Kari OR 02 of Digimon already says it all, anyways last thing is that when that mega thing in Loss and everyone was slipping down the slope I did kinda saw TK holding Kari’s hand, I did had to time it right xD. Where Are All The Snowboard Games?